Up for sale is an antique old mine cut diamond & filigree decorated bracelet. 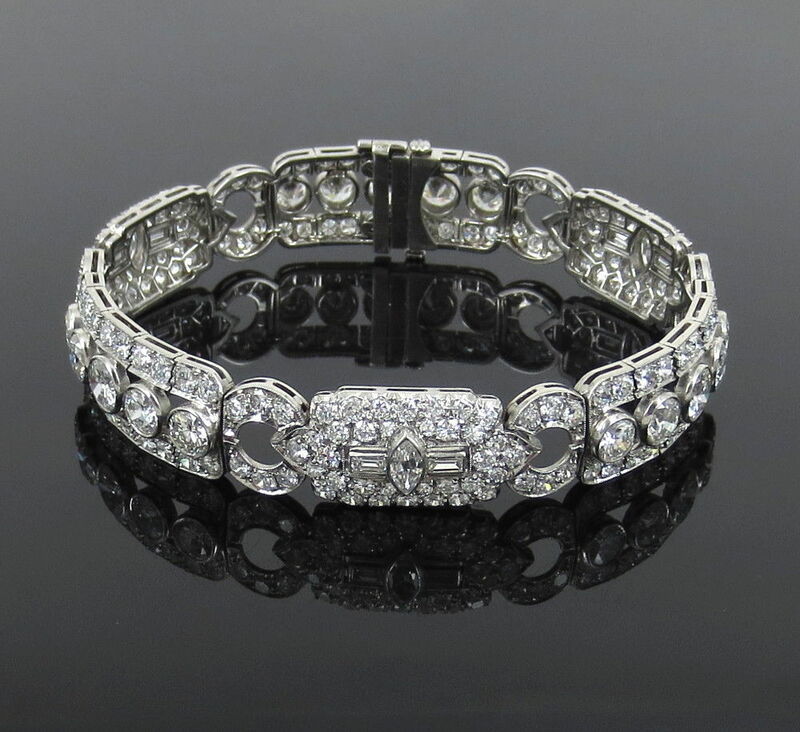 This antique bracelet is from the Art Deco period and it is made of platinum. This filigree decorated bracelet has large size diamonds in the center throughout the bracelet with fine milgrain & filigree decorations around the piece. The old mine cut diamonds weigh approximately 19.0 carats; they are G to H color and VS to SI clarity. The centers are from 0.50ct to 0.75cts each. This Art Deco piece is in good condition with light wear. This bracelet measures 19cm (7.48 inch) long and 12mm (0.47 inch) wide. The weight of this bracelet is 36.6 grams.